This website has been inactive for around six months. Curt Robinson had been finishing up school and training harder than ever. He has continued Professional Wrestling during these busy periods. Have you watched his matches lately? This is a link to a playlist of his matches. Subscribe to his YouTube page while you're there! If you haven't already make sure to follow Curt Robinson's social media accounts! Today is December 1st, that means only a few days until I face Frankie Pickard in a No Ropes match. No Ropes means no longer can Frank grab the ropes. No longer can Frankie break the hold. December 12, Flyers Skate Zone, Voorhees, NJ, Frankie will submit to the "Curt Locker". Details and Tickets can be found at www.CZWrestling.com - The Dojo Wars Mega Event starts at 2pm. Wrestling season is here again. Training multiple times a day, constantly forcing my body to adapt and working harder than anyone is my lifestyle right now. I will continue to update the site as the season progresses. I recently fought in New York for NYWC wrestling and also Dayton, OH for Combast Zone Wrestling. I appreciate the opportunity and hope to be back soon to both states. If you need a Curt Robinson t-shirt, we have them on sale right now at www.RobDimension.com for only $10 plus shipping. Great offer and I appreciate the support. Thank you for following along and I hope to fight in your town. Sorry for the lack of updates. School is almost ending and I've really been working hard with training. My grades continue to be A's and I'm not gonna lie, I can't wait for school to be over. I have been training hard for the amateur season already (yes I know it starts next December). Winners don't rest. My schedule is hectic but it will be worth it. I've been working with Rory Gulak, formerly Little Mondo in CZW Pro Wrestling. 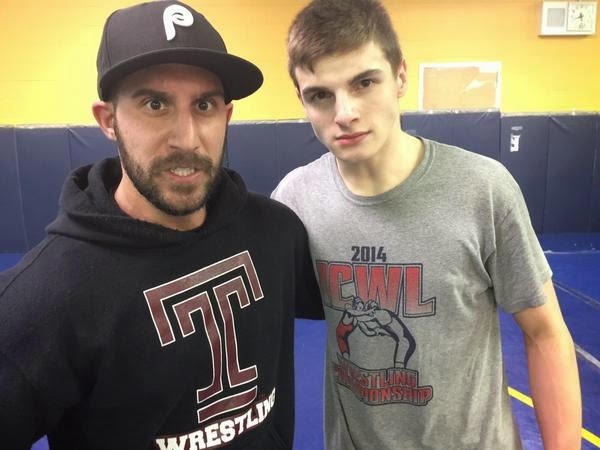 Rory's camp is full of talented wrestlers and coaches and it's the hardest I've ever trained. We are fortunate enough to have Russian Olympians on hand to spar with. Its overwhelming but I'm so thankful for the opportunity. Dojo Wars starts weekly on May 6thin Blackwood, NJ. My head trainer Drew Gulak has been working hard to make Dojo Wars something special and I think it shows. The training is tough but I know it will be worth it. 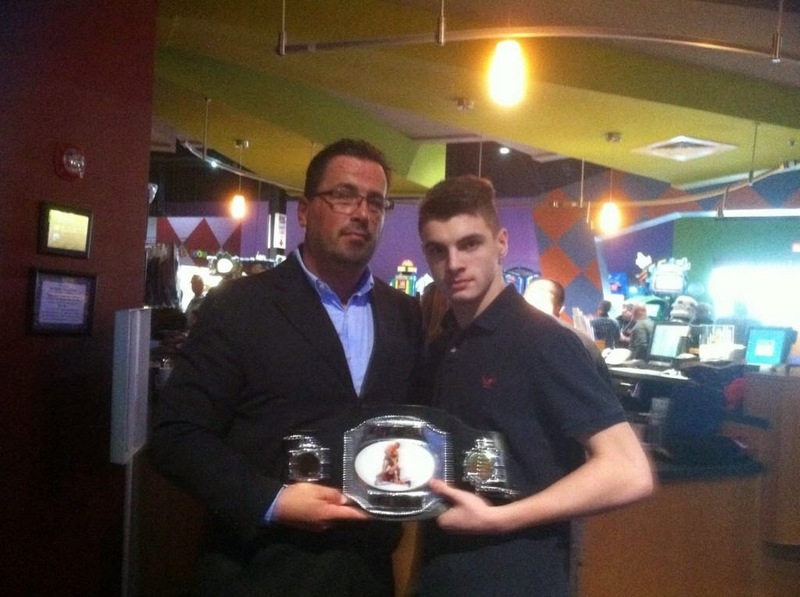 This coming Friday, May 8th, once agin I face Mr. Sozio. Sozio and I are like water and oil. To me, Sozio is a bully and has beaten me up every chance he has had in the last 8 months, but this Friday that changes. For more details follow @SideShowPro on Twitter. I'm motivated and I will Find A Way. Curt Robinson T-shirts are in! Back says "Follow My Journey"
The Journey Step 4 is now available for you to watch. On this episode, Curt faces professional wrestling legend, Steve Corino. Corino and Rob Dimension discuss why it was important that Curt's 1st match up was facing The King of Old School. To add more pressure, Curt's 1st match up would be for the WaW British World Title. To follow along, make sure you follow Curt @CurtRobinsonPro on Twitter. The Journey - Step 3 is now available! 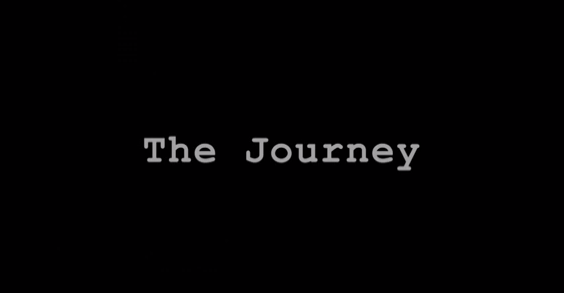 The Journey, Step 3 is now available for you to watch. This Step is behind the scenes with Curt's first exhibition match against CZW World Heavyweight Champion Sozio. Curt is the youngest to ever receive a CZW Title shot. Find out what went through Sozio's mind, what Curt was thinking and what happened. 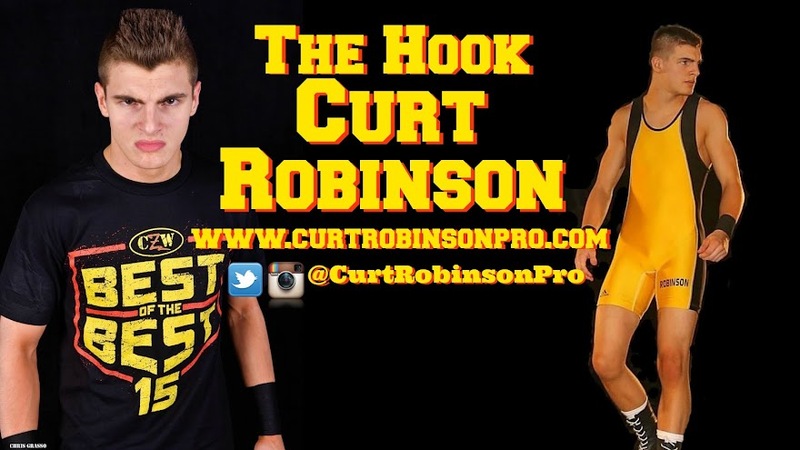 For more info, follow Curt at @CurtRobinsonPro on Twitter! Thanks again to Matt Barnes, Drew Gulak, Sozio and DJ Hyde, plus the CZW Dojo. This week, the CZW Professional Wrestling Dojo started the Dojo Trails as they invited former CZW World Heavyweight Champion Biff Busick and his students from his training academy as guests to the dojo for a competitive battle. This was Curt's first experience in a tag team situation. The match was set: (Team Biff) Brandon Bell, Tim Lobo, and Ace Romero vs. (Team Gulak) Curt Robinson, Conor Claxton, and Frankie Pickard. While I would love to report that this was a bout that was filled with sportsmanship, I sadly can not. From my perspective, Team Biff pushed the limits of "legal" and crossed the line several times. Drew Gulak, head trainer at CZW Dojo was not happy and voiced his opinion to the referee, who clearly lost control early on. Curt went for, what is becoming one of his trademark submissions, the banana split, but was broken up via the Team Biff teammates. Team Biff eventually came out on top of the match up. Team Gulak was heated and the pinball of the match saw tempers flare from everyone. You can only assume, this is not the end. Amateur Wrestling season is here, Curt is focused and starts tomorrow with the first Dual Meet. Details on how he does, record and more info will be updated as the season continues. Curt's next scheduled Dojo Wars appearance is scheduled for New Years Eve. Stay tuned to @CurtRobinsonPro on Twitter for daily details! Thanks!